Specialist Sheet Piling Contractors, Sheet Piling (UK) Ltd, have recently completed the purchase of an ABI TM13/16 Telescopic Leader Rig. 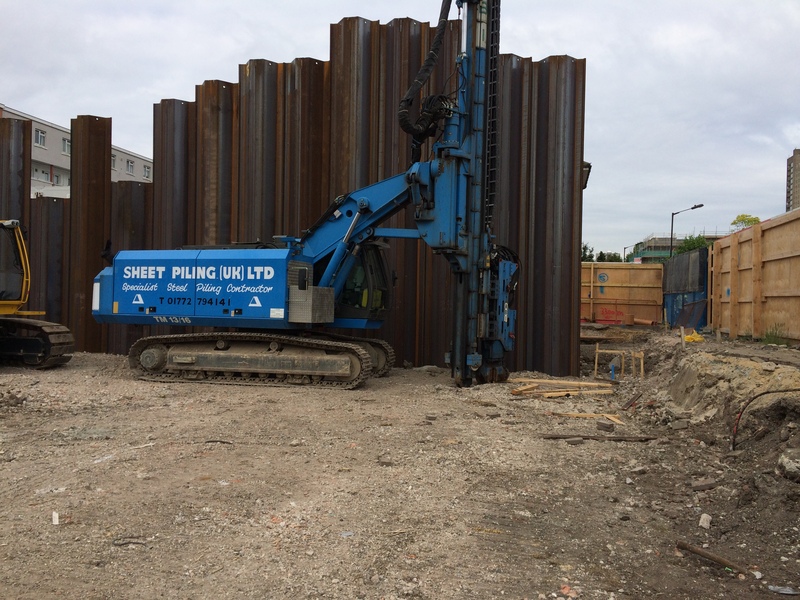 The latest addition to the modernised plant fleet operated by the sheet piling company is capable of installing 16.0m long sheet piles and is fitted with a powerful MRZV 925V ‘Resonance Free’ vibratory hammer. The new range of leader rigs recently added by the sheet piling contractors to their fleet are particularly suitable for installing the new range of Arcelor Mittal and Emirates Steel ‘Z’ sheet pile sections together with traditional ‘U’ pile sections. The new addition to the plant fleet means Sheet Piling (UK) Ltd now own and operate a total of 5no telescopic leader rigs. The ABI TM13/16 Leader Rig is pictured operating on some recently completed projects at Aberfeldy, East London and University of Kent. Download the data sheet and technical specification sheet for the ABI TM13/16 Telescopic Leader Rig here.